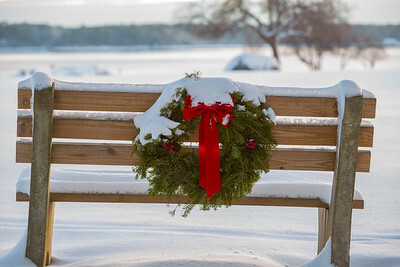 A Christmas wreath adorns a bench on a snowy winter morning on Great Island Common in New Castle, NH. 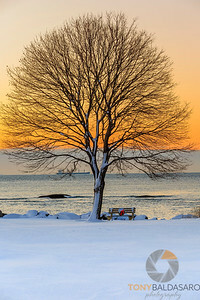 A lone wreath still lies on a bench under a leave-less tree in New Castle, NH at sunrise. 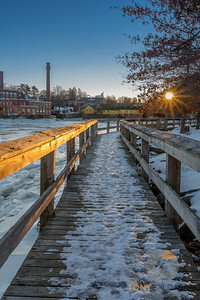 The boardwalk along the river in Exeter, NH is beginning to feel the warmth of this Winter's day sunrise. 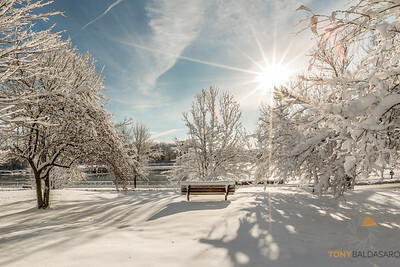 One day after a Noreaster' dumped 10 inches of snow on the town of Exeter, NH, the blue skies and a bright sun shone upon Swazey Parkway. 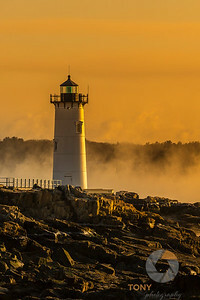 Standing tall above the sea smoke is Portsmouth Harbor Light as the warmth from the rising sun encroaches upon the rocky shore. 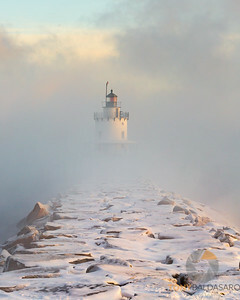 The frigid air temperature clashing with the relatively warm sea water creates "sea smoke" so strong that it almost hides Whaleback Light in Portsmouth (NH) Harbor. 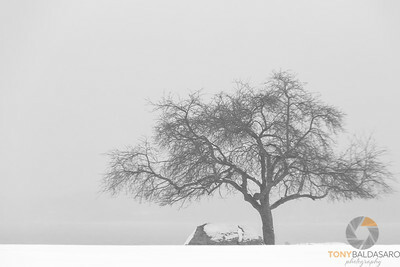 If you look closely, you can see a seagull flying without any concern for the extreme weather. 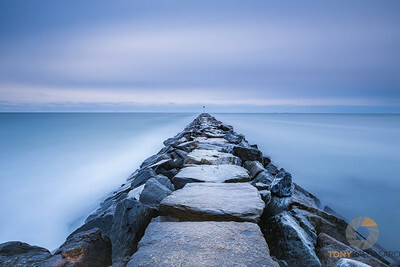 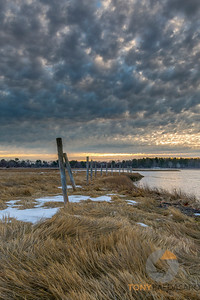 A four minute exposure taken at Hampton (NH) Beach State Park hours before a winter storm was due to hit the region. 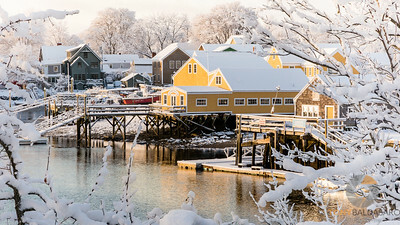 Winter hits the New Hampshire coast. 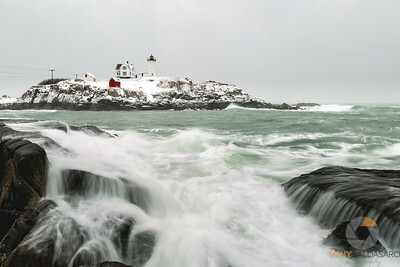 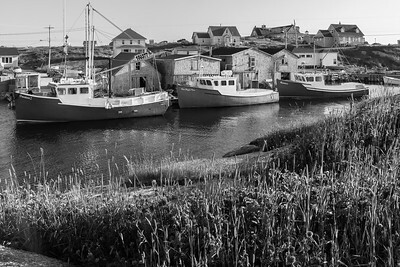 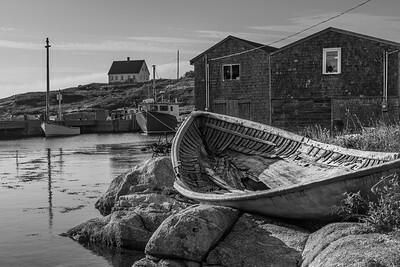 Before a classic noreaster' hit the New England coast, a front backened into the Maine coast leaving the surf near Nubble Light House churning. 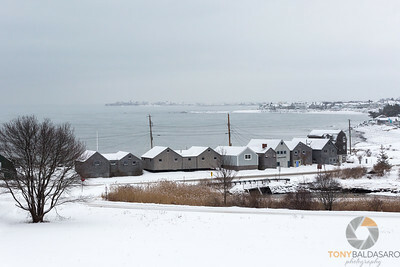 New Castle Common was pretty desolate hours before a February Blizzard was preparing to hit the New Hampshire coast. 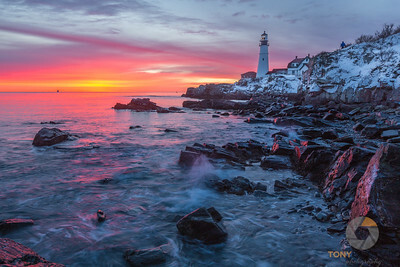 With the red color of the rising sun reflecting of the rocks below, Portland Head Light welcomes a new day. 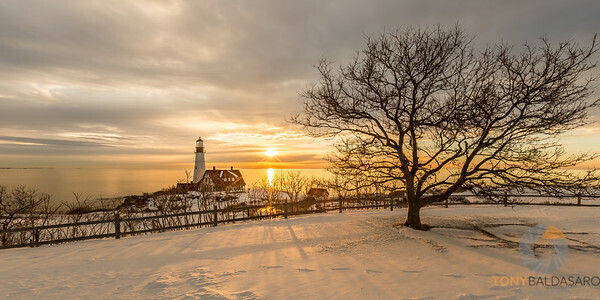 With the sun rising behind, Portland Head Light soars above the Atlantic Ocean marking the entrance to Portland (ME) Harbor. 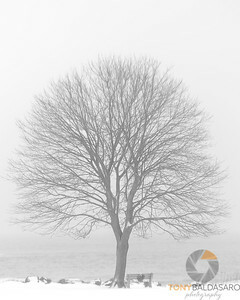 Warm temperatures produce heavy fog at Wagon Hill Farm in Durham, NH. 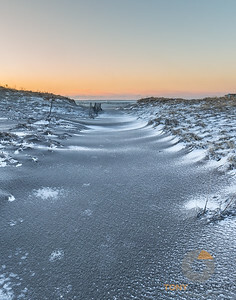 The path leading to the beach was frozen solid at Hampton Beach State Park leaving a tundra like look to the landscape. 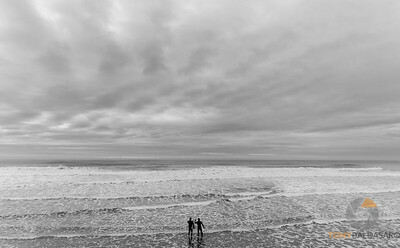 Two surfers weigh their options as an off shore storm kick up the surf at Long Sands Beach in York, ME. 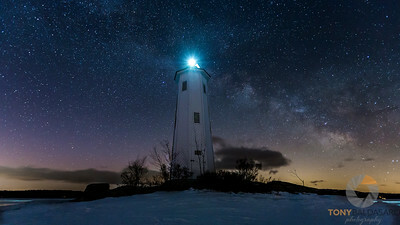 At -9 degrees lighthouses struggle to be seen. 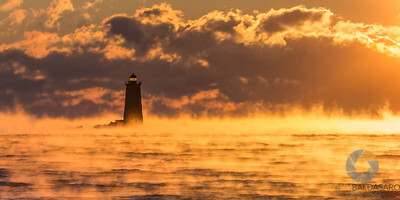 The extreme cold in New England give us great opportunities to capture sea smoke.